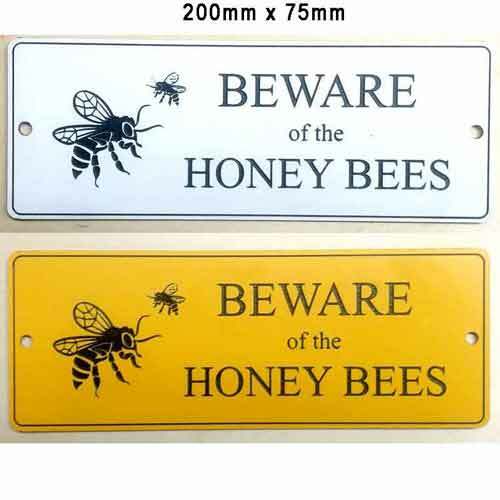 Beekeeping, beekeepers warning or safety sign, Beware of the Honey Bees, 200mm x 75mm. 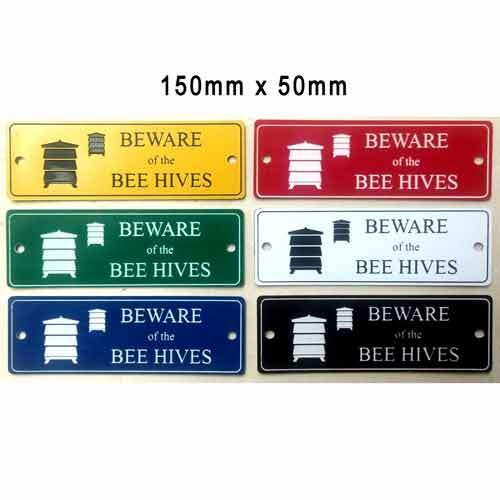 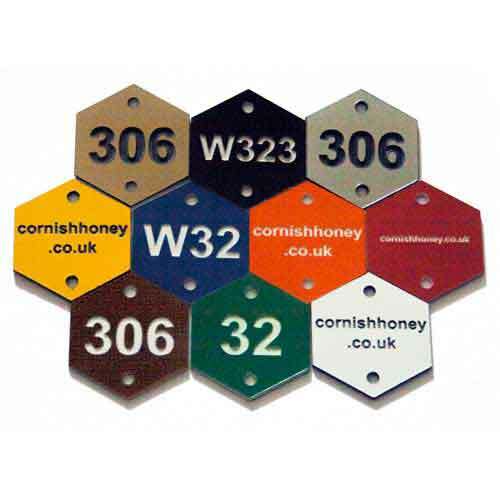 These are supplied engraved as shown included in the price. 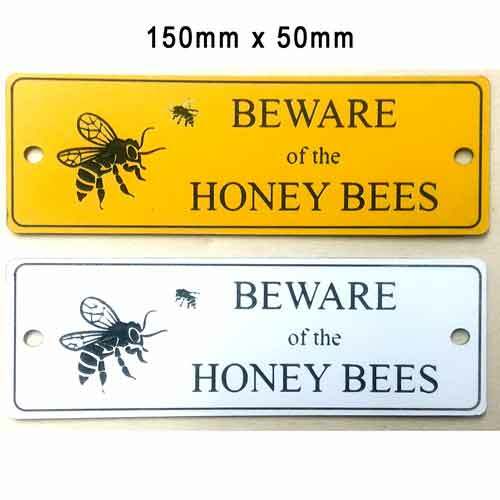 Engraved into gloss 1.5mm thick acrylic with 5mm holes. 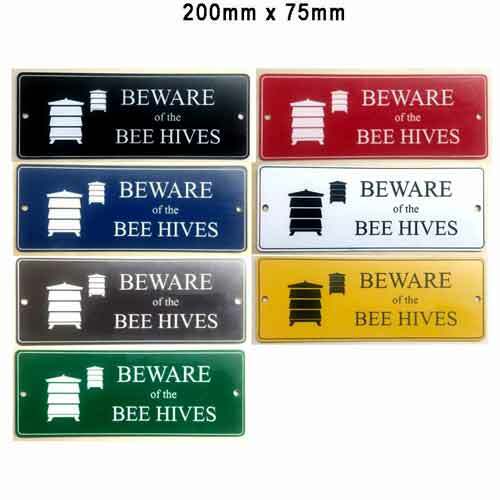 External grade, UV protected, hard wearing, weather proof impact acrylic - guaranteed.